It’s been mere hours since their boots hit the ground and the team started working. In front of them is an unrecognizable concrete structure. They were told it used to be a government building. Reports say people are trapped inside and a canine confirmed it. Red Squad One, an elite international urban search and rescue team out of Fairfax County, Virginia. is on scene. Jackhammers clatter against a 6-inch thick cement wall until a small opening emerges. A medic shimmies through, feet first. The drilling continues for another hour and a half, when the first survivor is finally pulled out of the hole. It’s the team’s first rescue. The sweat is real, their muscles are sore, and the hours are long. But the disaster is just a drill. 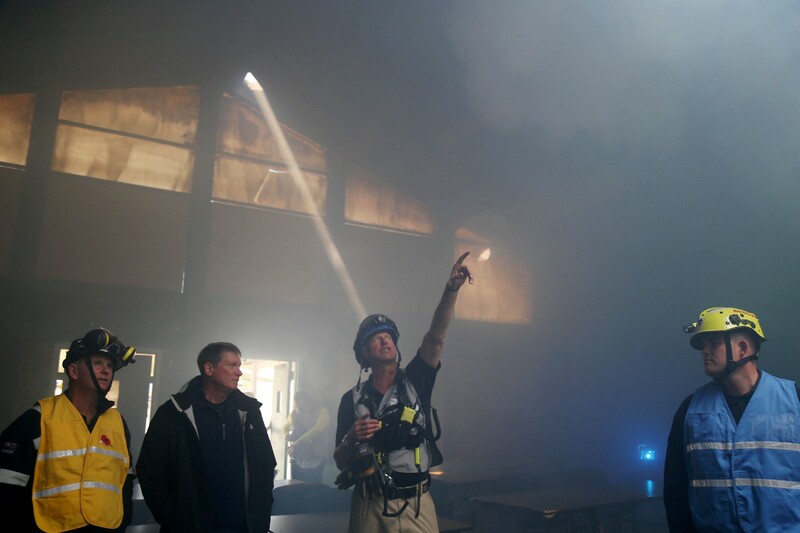 It is a unique opportunity for disaster experts at USAID to practice with urban search and rescue (USAR) teams from Fairfax County Fire and Rescue Department and the Los Angeles County Fire Department. Because first responders have the potential to save the most lives, USAID has partnered with Fairfax and Los Angeles Counties to deploy overseas on short notice. 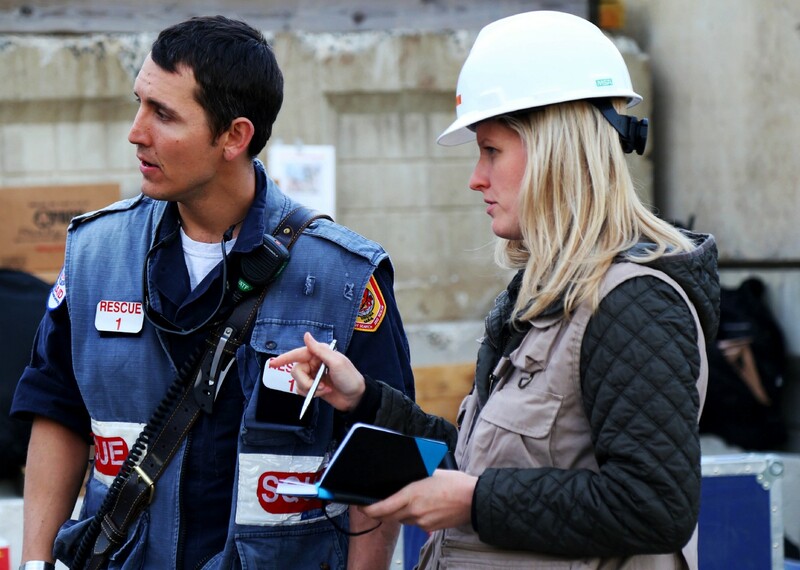 USAID has deployed the urban search and rescue teams internationally 17 times since 1988, when the Agency incorporated USAR into its international disaster response. Lorton, Virginia might not have a lot in common with Nepal, but for one week this spring, this community located about 30 miles outside of D.C. “filled in” as a disaster-prone country in southeast Asia. 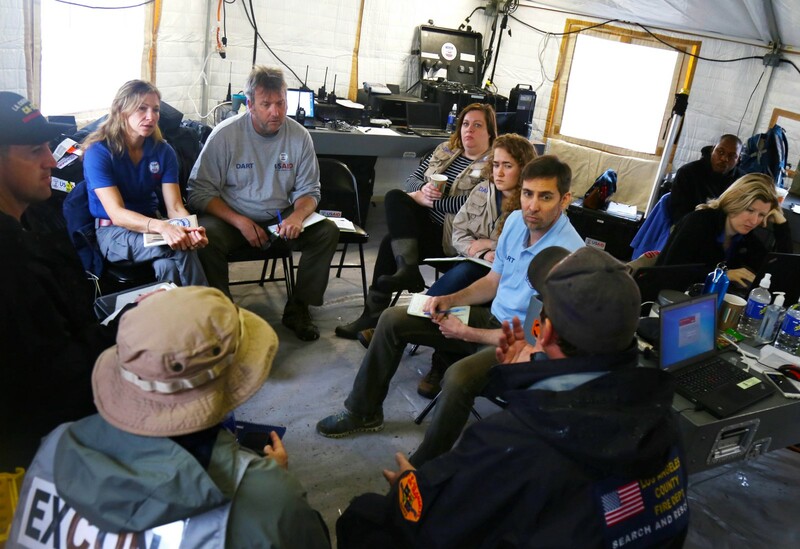 The week-long training is put on by USAID’s Office of U.S. Foreign Disaster Assistance, which leads and coordinates the U.S. government’s disaster response efforts around the world. 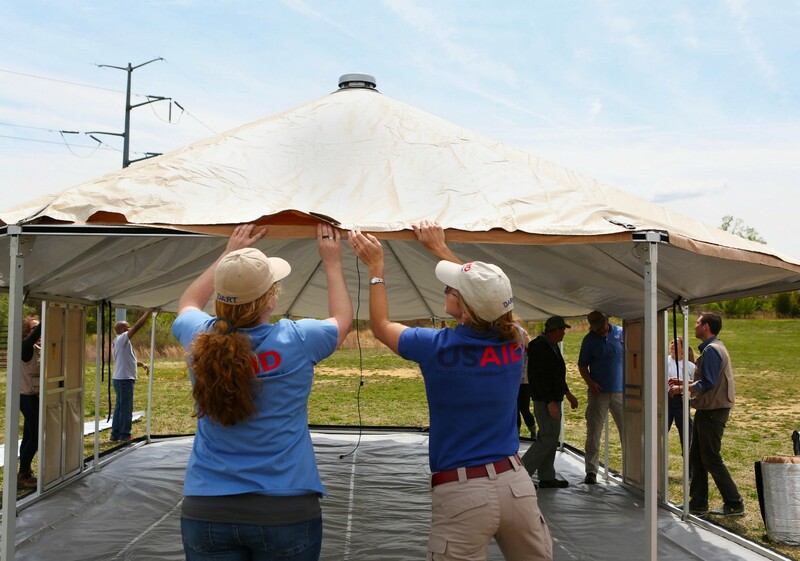 It takes approximately 30 minutes for a small team to put up each of the 1000-pound tents that serve as USAID’s operations center and sleeping quarters during a disaster. Two generators provide power for everything from the team’s computers and communications system to the coffee maker. 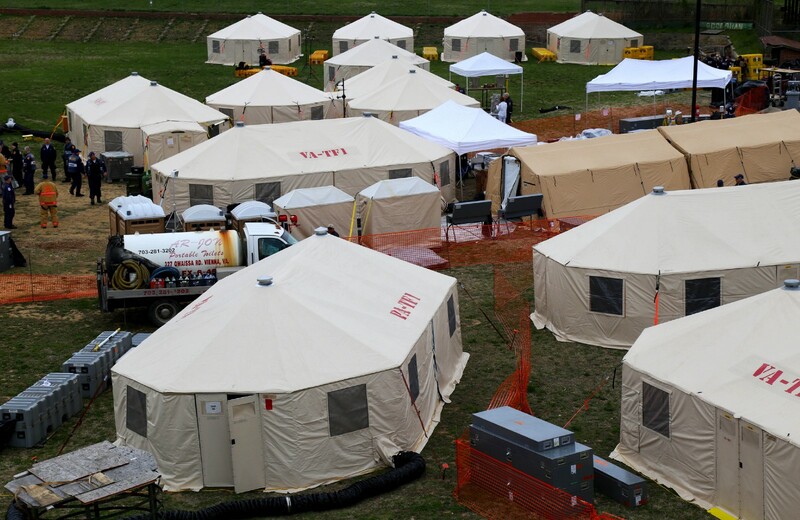 The USAR teams put up their own tents which include a medical facility, sleeping quarters, and their own command center. These teams are completely self-sustainable for three days and have enough food to last about 10 days without resupply. 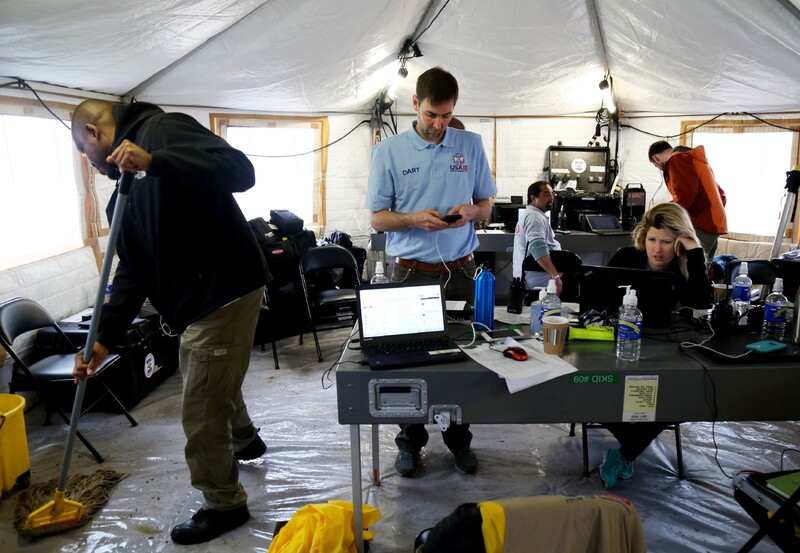 USAID team members secure the roof on their operations center. Keeping the operations center dry becomes a challenge after days of rain. 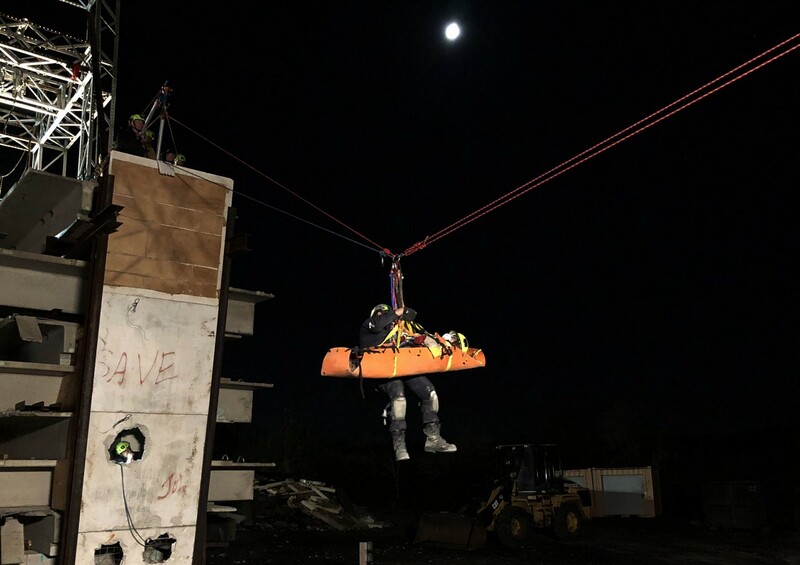 During this exercise, the USAR teams faced approximately 50 scenarios simulating different structural collapses, including a school, health facility, parking garage, and a building containing hazardous materials. They have to master several harrowing tasks, including rescuing people in confined space rescues, “amputating” a victim’s leg, and treating injured team members, including their dogs, in the field. Members of Fairfax County Fire and Rescue practices a high angle rescue. 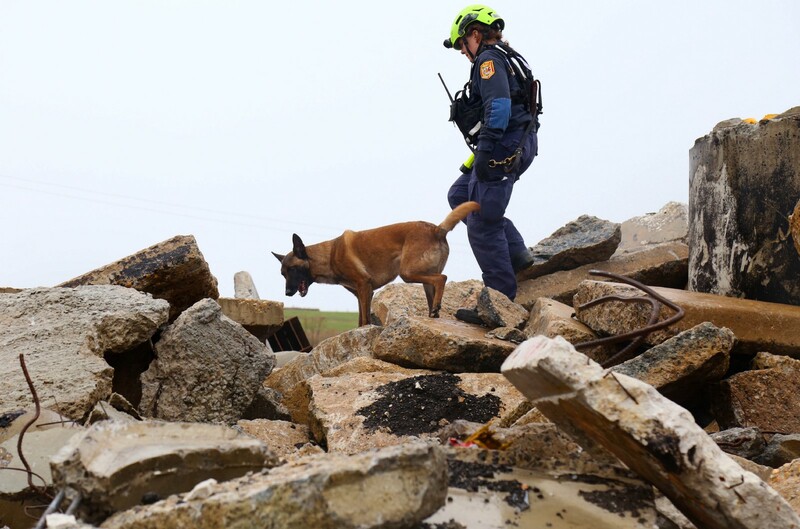 Eight search and rescue canines from Fairfax County participated in the exercise including a Border Collie (Loki), three Belgian Malinois (Ivan, Etta and Xandr), and four Labrador Retrievers (Peter Pan, Pryse, Pistol and Angus). The dogs work in teams. After one dog identifies a live person trapped in the rubble, a second dog is sent in. Once this second dog confirms the location, the search and rescue teams can move in make the rescue. 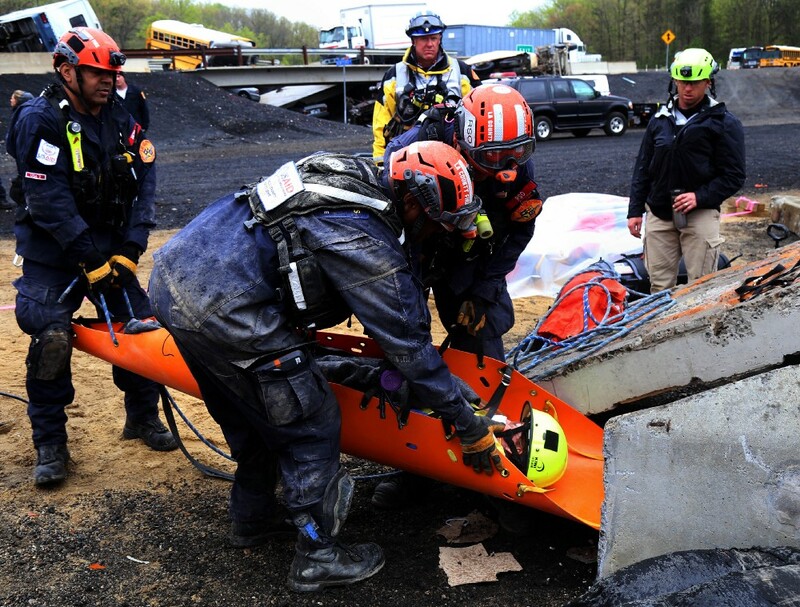 While advances in technology have helped USAR teams better see and hear people that may be trapped, the dogs themselves are equipped with the most finely calibrated tools to find survivors. 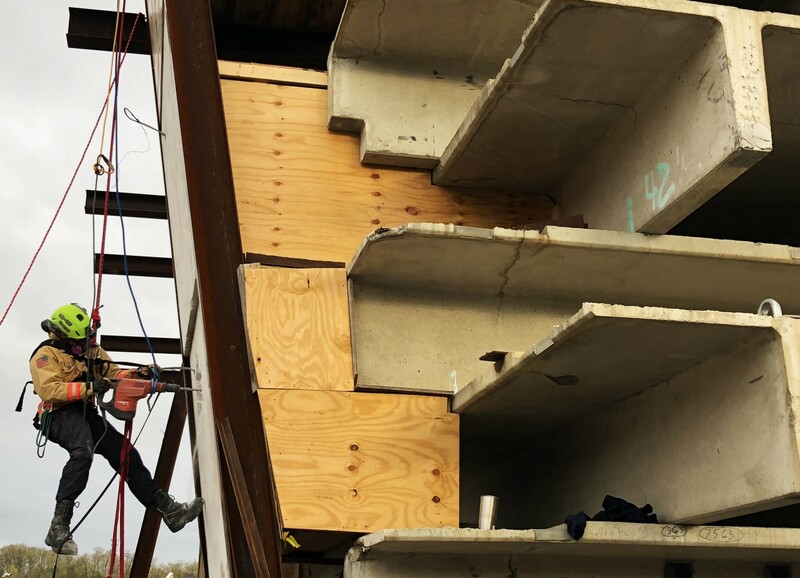 They use their unique keen sense of smell to locate people trapped beneath layers of concrete, bricks, wood or other dense structural material. Their sensitive noses can detect the scent of human breath and skin cells, while their nimble size also allows them to navigate though tight spaces that could not be reached by humans. Although these dogs get a lot of attention for their four-legged cuteness, when they deploy, they’re all business, working long hours alongside their handlers. 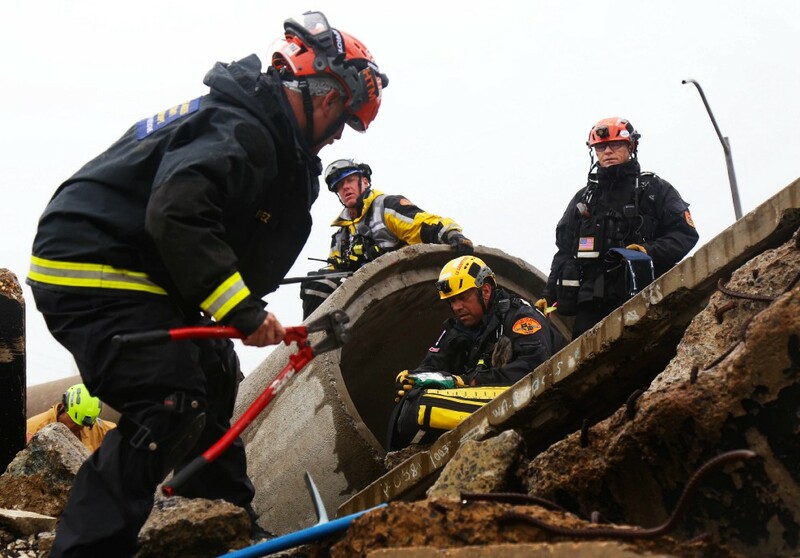 Nearly 200 firefighters from Fairfax County Fire and Fire and Rescue Department and Los Angeles County Fire Department took part in the exercise, working with USAID’s 15-person Disaster Assistance Response Team. 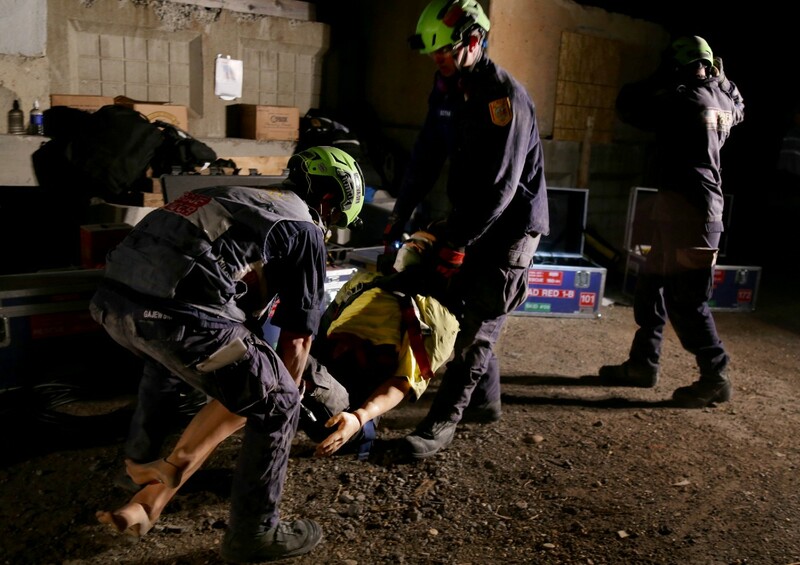 The L.A. County USAR team deployed to Mexico in 2017, as part of the USAID Disaster Assistance Response Team (DART) that responded to a 7.1-magnitude earthquake. 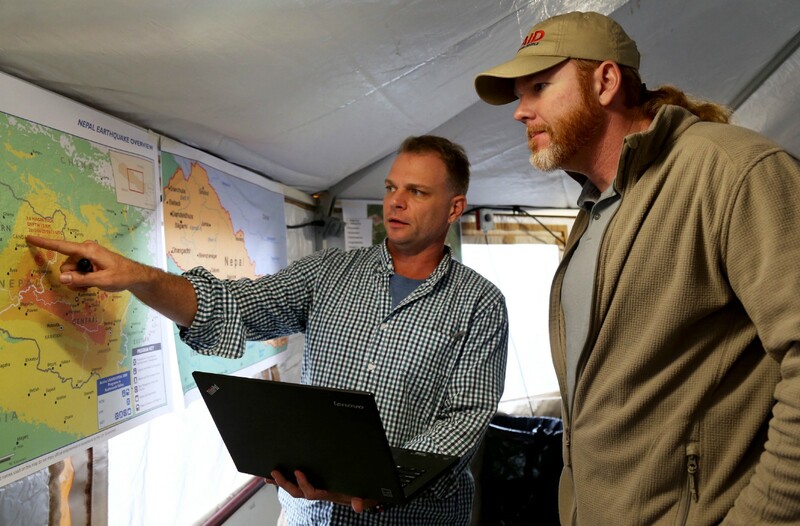 Both the L.A. and Fairfax County teams were part of the USAID DART that deployed to Nepal in 2015 after a 7.8-magnitude earthquake struck. Many of the scenarios in this exercise were based on real situations the teams faced during the Nepal deployment. 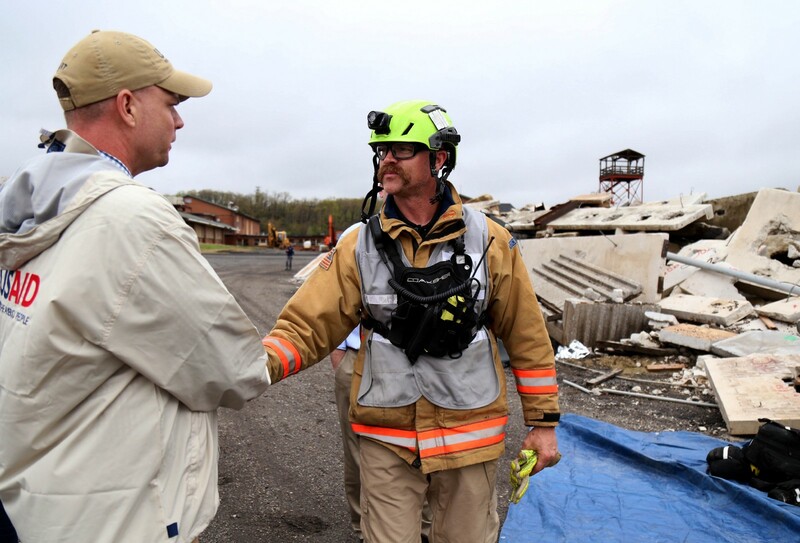 Though it’s rare for these USAR teams to deploy — usually only once every couple of years — it is critical that they maintain their skills. The goal of this exercise and others like it is to ensure that when the next disaster hits, everyone is ready to jump in and save lives. Editor's Note: This entry was originally published by USAID/OFDA in USAID's publication on Medium.